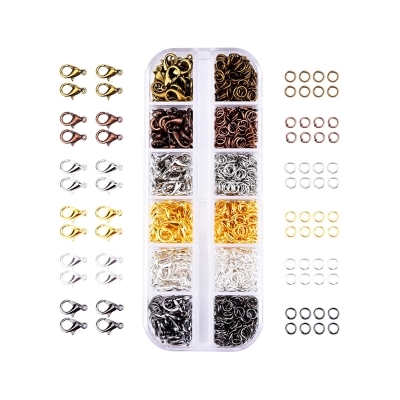 You could use it as clasp to DIY your jewelry or any other jewelry making handmade crafts findings. 6 Colors iron alloy lobster claw clasps, nickel free, mixed color. About 22 pieces of lobster claw clasps for each color. About 140 pieces of open jump rings for each color.